Been a while since I took a whack at 3D. 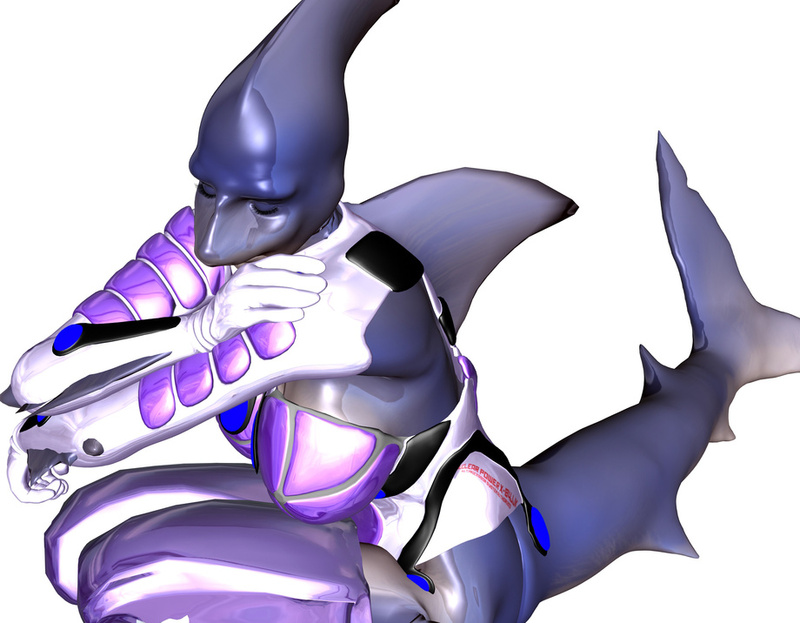 Here's a V4 Model modified by https://darksealstudios.deviantart.com/ for me into my Shark girl Krystal Blade. Krystal is used to swimming around in water, not walking around on land. Her body is not used to the full effects of gravity, lifting, standing, squatting all that other fun stuff we land dwellers have to deal with. We at least have the benefit of a solid skeleton, made of bone, not one of cartilage like she has. Her suit helps her deal with those effects as well as to help her breath in her gills. All this has made her tired more often. But where as long rests would be unwise in the water, here on land amongst friends she knows its ok to take a nice long "sleep" these land dwellers rave about.